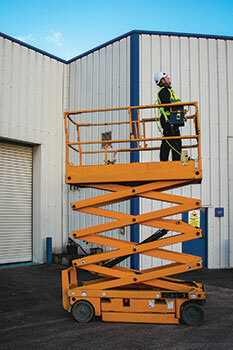 The training can be delivered at an RTITB accredited training centre in the UK, Ireland and Gulf, or by qualified in-house Instructors by purchasing the ‘Instructor Guide for Mobile Elevating Work Platforms’. As with all RTITB trainers’ guides it includes both an extensive printed manual and USB stick containing helpful resources, theory test papers and a PowerPoint presentation so accredited organisations can be confident that Instructors are supported with everything they need to deliver compliant training. 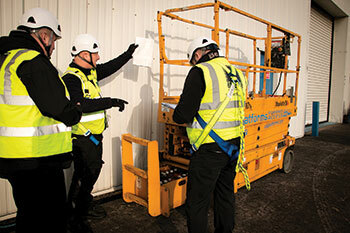 The Instructors guide can be tailored for use with novices and experienced (but untrained) candidates, as well as for refresher or conversion training. Regardless, the new guide has been designed to ensure Instructors can deliver a thorough and detailed course which places the candidate at the heart of the training. Using different learning methods such as quizzes and discussions, to make learning as engaging and beneficial as possible for operators. This entry was posted in Featured and tagged Handling and Storage, Logistics. Bookmark the permalink.